'We're supposed to care about the story, but it's just a string of events, not much character development, no humour in it or anything' says Vi, the heroine, on the penultimate page. Or is it her father, Nick, who says that? You can't tell the difference since there is no distinction between their voices. For more than two hundred pages, I'd been mulling almost those exact words for this review - and only then did I realise I'd fallen into Howarth's trap. Possibly. This dystopia is set in 2020 (perfect vision, maybe?) when the ozone layer has gone and it is almost impossible to live 'outside'. The plot - apparently - sets daughter against father who works for BluShield, a profit-hungry company with a monopoly grip on their product which nullifies the UV effects of the Sun. The narrative careers confusingly (but now I see why) between the Questworld of a huge computergame and the scorching territory outside the almost subterranean city of Condorcet. But which bits of the story are virtual and which actual? And do we care about characters who seem so two dimensional and humourless? (Just like characters in a computergame, in fact.) 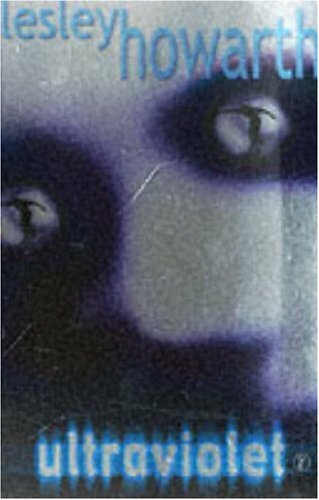 At the end of the book, Vi and her father Nick take off their headsets, and one or other of them utters the words at the head of this review; in the computer's printer lies a manuscript entitled 'UltraViolet'. It is the 'book of the game' they have been playing. 'Who needs reality when you can read?' asks Nick. 'Or Quest,' replies his daughter. It's certainly a very clever game that Lesley Howarth is playing with her readers - there is a kind of 1984 appeal in the setting and the language and also a sense that there is possibly a moral message somewhere. It's clever, but it is also exasperating. I came to the end and immediately wanted to go back to the beginning to work the whole thing out to see just which game the author was playing with me, and when, and had she played fair? I suspect gaming and problem solving early adolescent readers will have a similar reaction (unless they crack it first time around, of course). And can she really get away with 2D characters, no humour and just a string of events...?